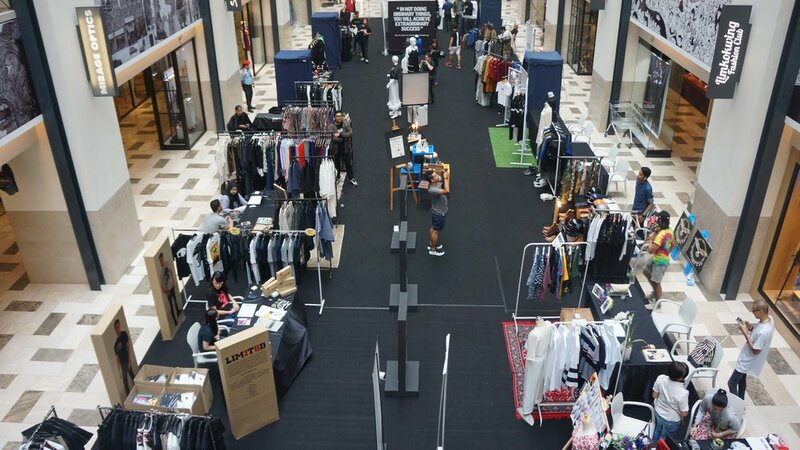 TOP URBAN AND STREET WEAR FASHION DESIGNERS OF KUALA LUMPUR, AND BEYOND, WILL TAKE CENTER STAGE AT URBANIKA, THE INAUGURAL URBAN AND STREET WEAR FASHION FESTIVAL ORGANIZED BY KUALA LUMPUR FASHION WEEK RTW. For 5 exciting days, Urbanika will bring the designers to feature their capsule collections from Sept. 30 to Oct.4 2015 at Publika, Solaris Dutamas. Urbanika Fashion Festival is designed as a moving force to enhance, educate and further inspire the future of Malaysia’s fashion industry and promotes the growth towards young and pivotal fashion enthusiasts’ that are passionate about urban street style fashion. Guests can enjoyed fashion exhibitions, pop-ups fashion stores and fashion showcases within this memorable 5 days festival. Free For All will be allocating about 500 bottles for our Launch on the 30th of September 2015 @ The Square Publika!. Find out more about 'Free for All' Here! With the support of Tourism Malaysia and as part of Kuala Lumpur Fashion Week’s mission of Moving Fashion Forward, Urbanika will put the spotlight on our local Street Wear Labels and pay homage to this unique movement for the subculture that incorporates the essence of fashion, music & street culture. Sponsors for Urbanika include Tourism Malaysia, Bobbi Brown, L’Oreal Professional, Miko Galere, PUBLIKA and M.A.P. @ Publika. 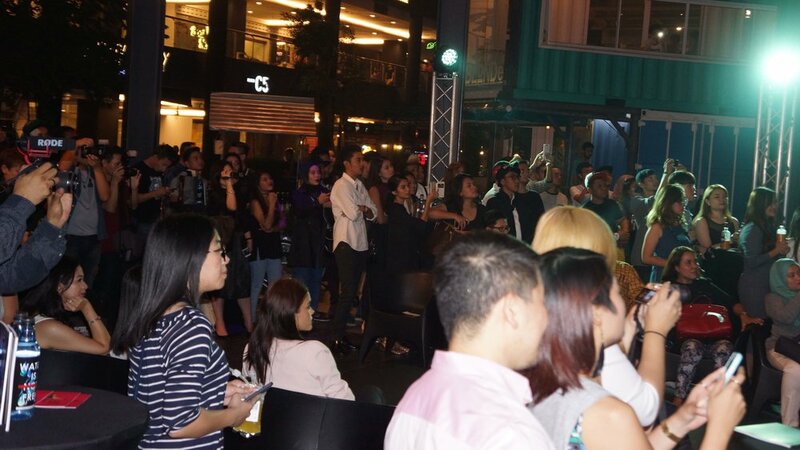 As our Official Venue, PUBLIKA aimed at a young expatriate clientele, the creative and artsy complex has a number of high-end clothing boutiques, novelty stores and F&B venues that reflect the image of URBANIKA where Fashion, Art and Taste collide. On the 3rd and 4th October, The Vintage Market hosted by Weekender Bazaar will be held at The Square and can be found buzzing with the activity of market-goers seeking curios and vintage jewelries, clothes, households and many more as it will further enhance the excitement of URBANIKA. Along the festivities, shoppers and fans can indulge themselves with mobile food truck operations that works closely with the Mobile Food Truck & Street Food Association (MSA) organization as they support and encourage young entrepreneurship and business opportunity as well as helping to create the hype for URBANIKA 2015. Urbanika is free and open to the public. B.O.B by Afdlin Shauki is Afdlin Shauki's apparel brand that reflects his own hiphop and "selamba" style that crosses functionality with attitude. From the Average Joe on the way to the mosque on a Friday, to the Hipster Chick on cafe duty, to the elegant Parkourist who needs practicality alongside flair: our Signature Pelikat Pants are able to fulfil the needs of both form and function. Which is why we say, Make It Your Own! Comoddity is a portmanteau of the words ‘common’ & ‘oddity’. It is a menswear brand that offers quality workmanship with a unique twist to wardrobe staples for the stylish urban male. A new menswear label in town, Firdaus Salleh designs is all about comfort in minimalist style, laidback yet fashion forward for urban men that craving for freedom of fashion. Zery Zamry is a popular Malaysian designer who had embarked his journey in the local fashion industry designing wonderful dresses and ready-to-wears for a huge number of celebrities such as Datuk Siti Nurhaliza, Erra Fazira, Ella and many more. Known for his unique touch in combining modern with tradition, Zery Zamry never fails to provide his customers with the best ready-to-wear designs every season. Zery Zamry has come up with the latest collection for men with a hipster’s motif design, aptly named, 'HIPSTER'. Check out HIPSTER by Zery Zamry at URBANIKA! IDOTSHIRT is comprised of a team of 5 designers exploring new waters and meticulously perfecting their craft. And with a variety of graphic themes to choose from, the freedom is yours. With every order, IDOTSHIRT ensures that every product is adequate to your liking. Made with only the highest quality materials, each creation is impeccably cut and skillfully crafted in order to reach the exceptionable standards of street wear, thus ensuring optimum comfort and a perfect fit. When it comes to accessories, we believe if it feels good, do it, and if it looks good, do it in every color it comes in. If fashion is fun, then accessories are definitely the life of the party! Add the finishing touches to your wardrobe with our must-have accessories from JeenyC. T-shirts are the foundation of casual wear and have been universally accepted by both men and women over the last few decades. While they used to be worn as undershirts, today they are being showcased as a fashion statement. LIM1T8D focuses on producing Unique, Limited, and Collectible T-shirts. Making this the perfect gift for those who seek unique fashion wear. "Be the UNIQUE one." Looking at the growing trend of menswear, Megat Alfie launches its much owned menswear during Kuala Lumpur Fashion Week Ready to Wear 2015. Megat Alfie men are not afraid to take a leap in what they wear and how they wear it and it provides a whole new journey to the local fashion lovers. Ellie E. Norman, Founder and Fashion designer of My Apparel Zoo, aims to bring that extra zest into the lives of fashionistas. My Apparel Zoo creates versatile and unique collections for all types of women with a particular emphasis on using eclectic printed fabrics from all over the world. N.E.R.D stands literally for No One Ever Really Dies, but there is an even deeper meaning behind the acronym. People’s energies are made of their souls. When you die, that energy may disperse but it isn’t destroyed.” With the tagline “Way of Life” The Brand aims not just selling goods to the end user but also a typical way/life style to the customers. Founded on 2014 just for the sake of loving the fashion streetwear scene. Based in Damansara with a killer team made Orang Lama serious on making it a business. Constantly on the lookout for better quality and perfecting our craft. Street Fashion by Sazzy Falak is your go-to brand for fashionable and trendy wear designed by Sazzy herself, mixed with a collection of clothes carefully handpicked so you will get an insight to her edgy and bohemian chic style. An independent Malaysia brand that produces not just another line of black and white tees, Stoned & Co.’s collections are expensive of the rebellious nature deep within every individual. The Offday Design was founded in 2012 by Irman Hilmi and Deanna Ibrahim as a retail and design experiment. On the retail side, our aim is to introduce brands previously unavailable here in Kuala Lumpur, as well as giving the platform for Malaysian premium brands to showcase their products in an upscale setting. The Offday is actively supporting Malaysian premium brands by constantly developing new collaborative products under its in-house brands, The Offday and Daft Goods. The way of wolf. Wolfgang is a high street apparel collective & a movement for the subculture that incorporates the essence of fashion, music & street culture by defining into the brands direction & ideology. The brand was founded in 2011 in Kuala Lumpur, Malaysia. Wolfgang has successfully paved its road as one of the most prominent names in the local street wear clothing industry within Malaysia & South East Asia region by establishing its name as a must have underground street wear brand. 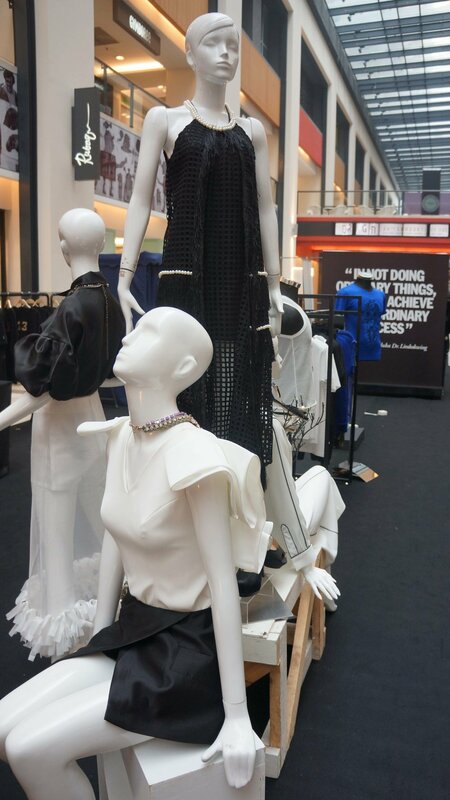 This young Pahang-born designer has garnered a strong following among the fashion savvy set. Known for his sleek minimalist aesthetic, Zakwan Anwar combines masculinity and elegance, expect RTW pieces to buy now, and love forever. For latest news please join and follow our Facebook Page at www.facebook.com/KLfashionweek and Instagram page @klfashionweek.